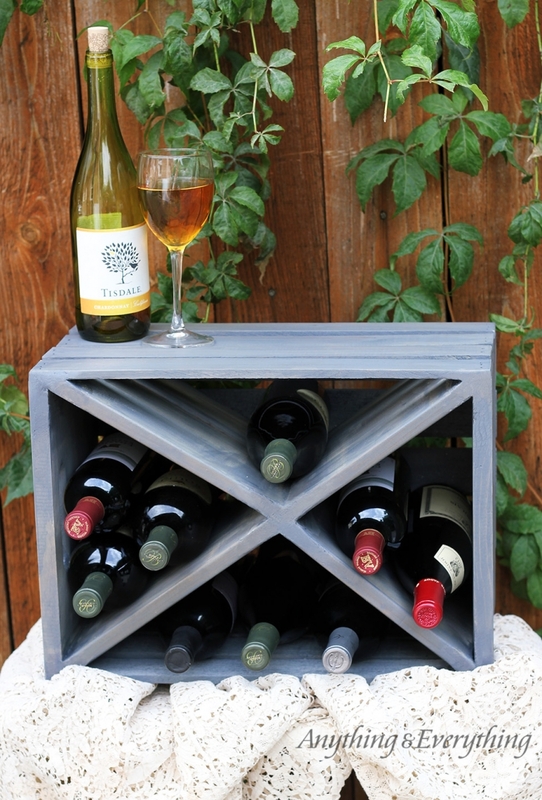 I love old wooden crates, whether it’s an old apple crate or a wine crate. 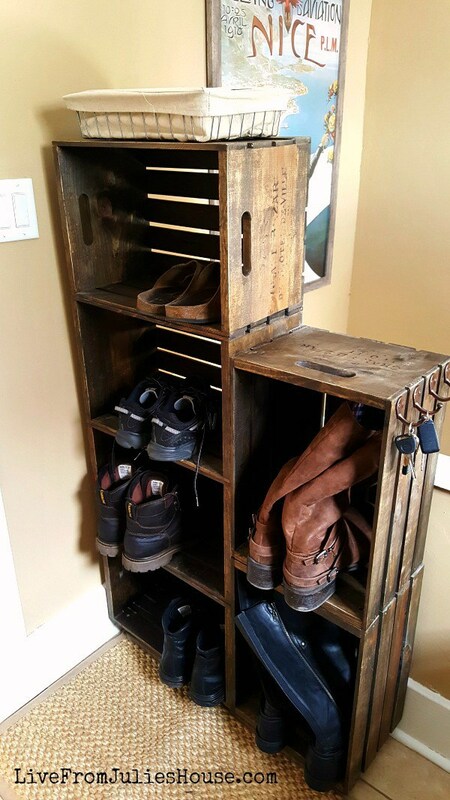 They are a cheap and easy way to create some unique rustic looking storage for your home. Lucky for me I have a ready supply of old wooden crates from my Aunt who passes on all her old wine crates to me. 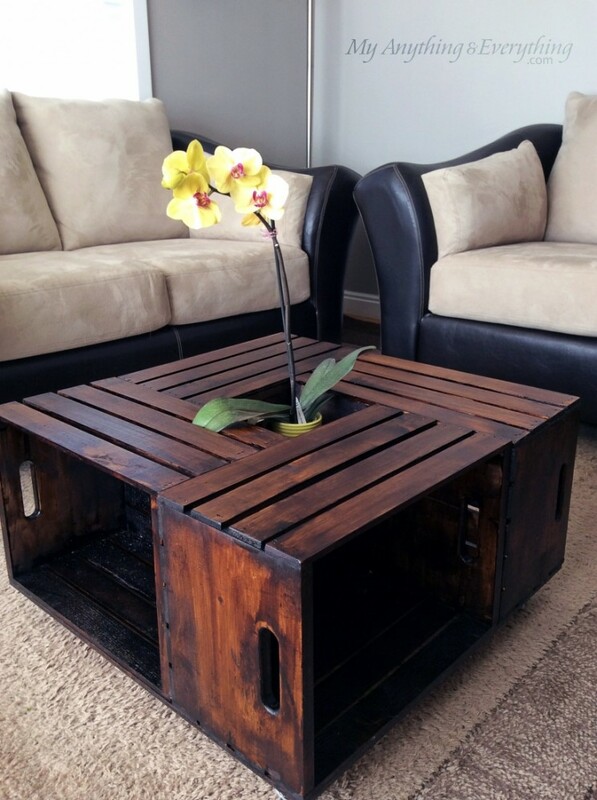 If you don’t happen to have a wine-loving Aunt you can buy wooden crates easily on eBay or Ikea and then stain them for that vintage look. 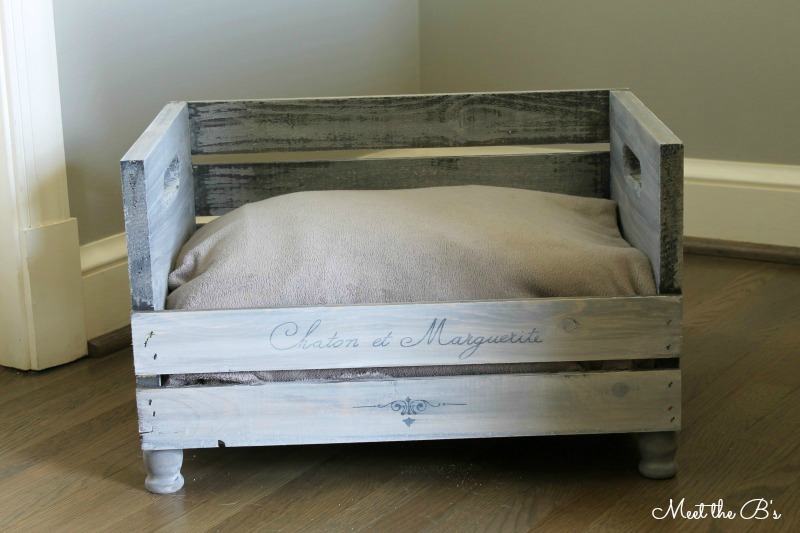 Here I’ve rounded up the most clever uses for an old wooden crate in your home. 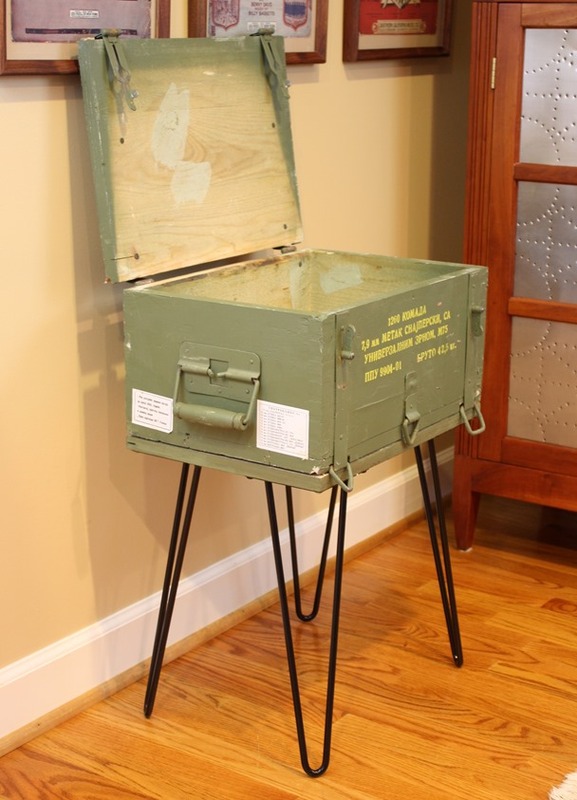 Here I used one of the wine crates/boxes from my Aunt and turned it into a handy nightstand for my son. 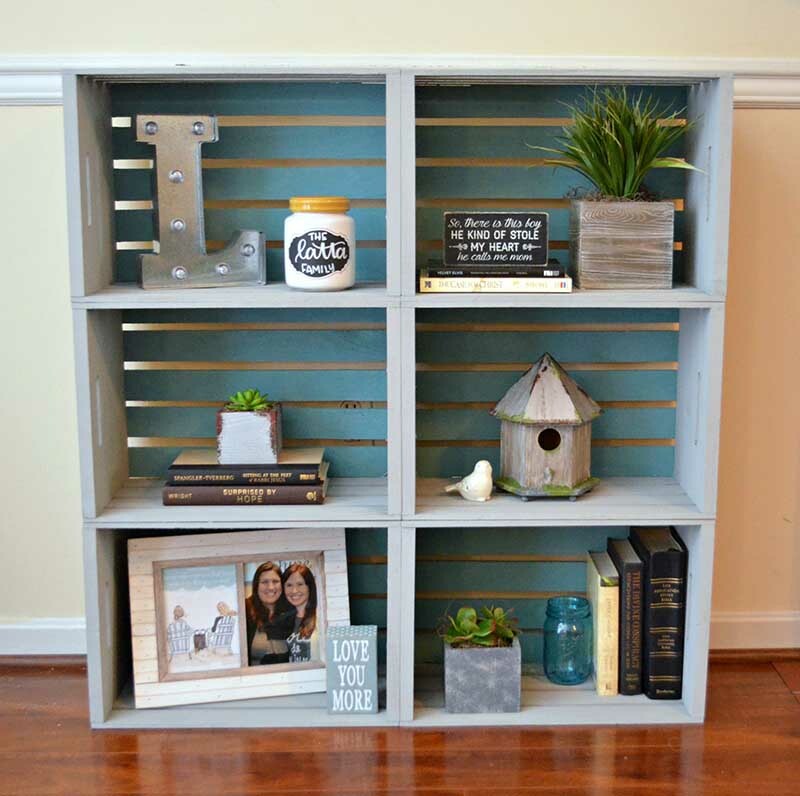 How about screwing several old wooden crates together to make a large bookcase. 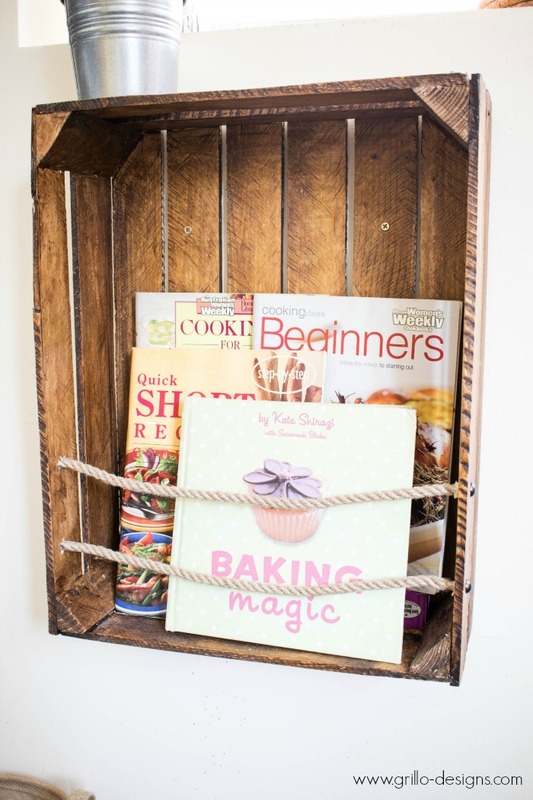 I love this idea of making unique hanging storage in the wardrobe with old wooden crates and rope. 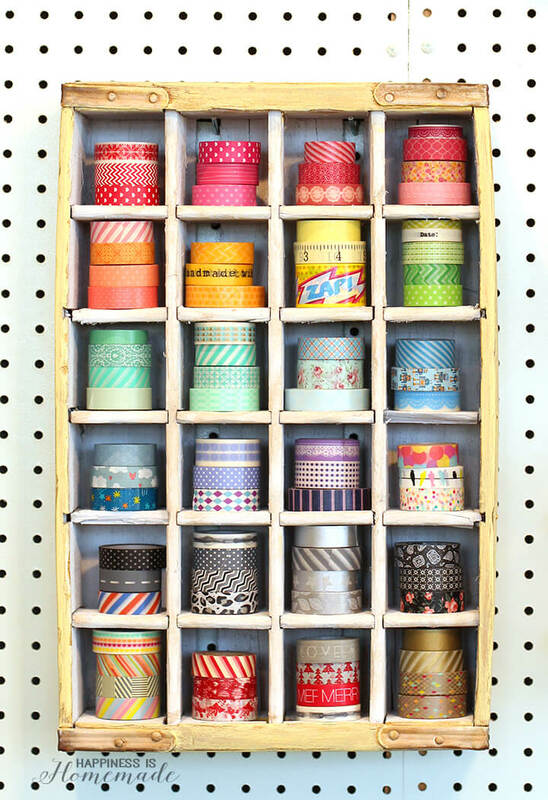 Heidi has cleverly used an old soda crate to stylishly store her washi tape. 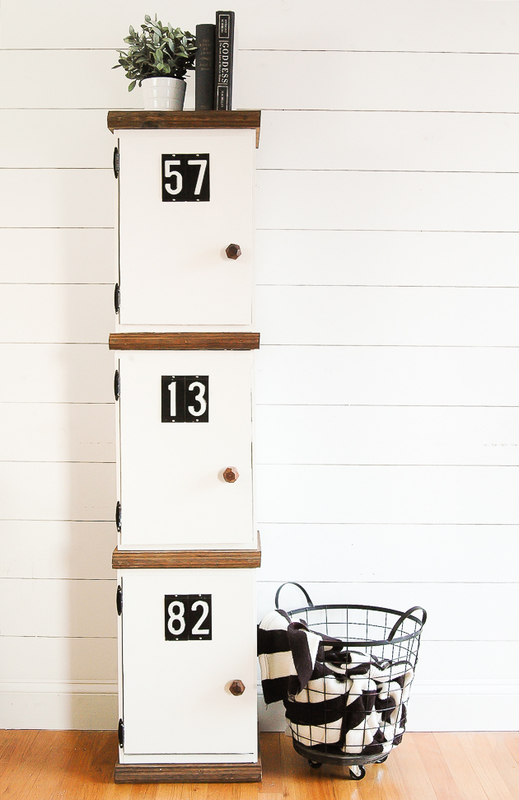 This would look great in any hallway and I love the handy hooks on the side for keys. This is actually an Ikea hack. 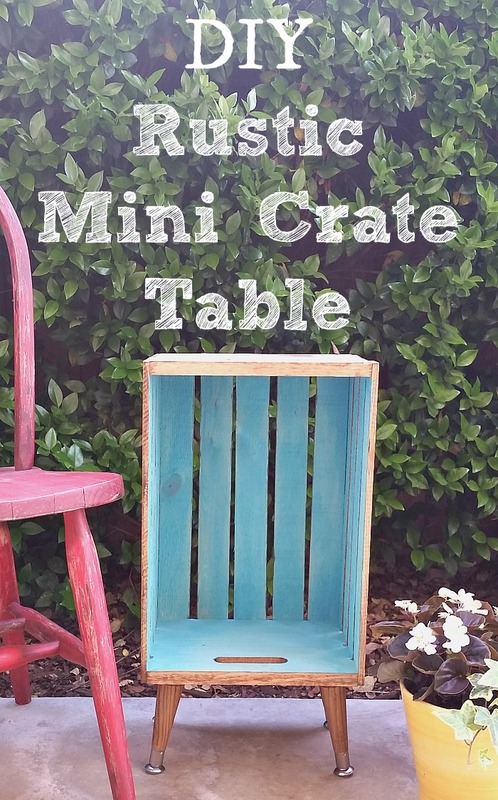 It is such a handy piece of furniture, extra seating and storage in one! 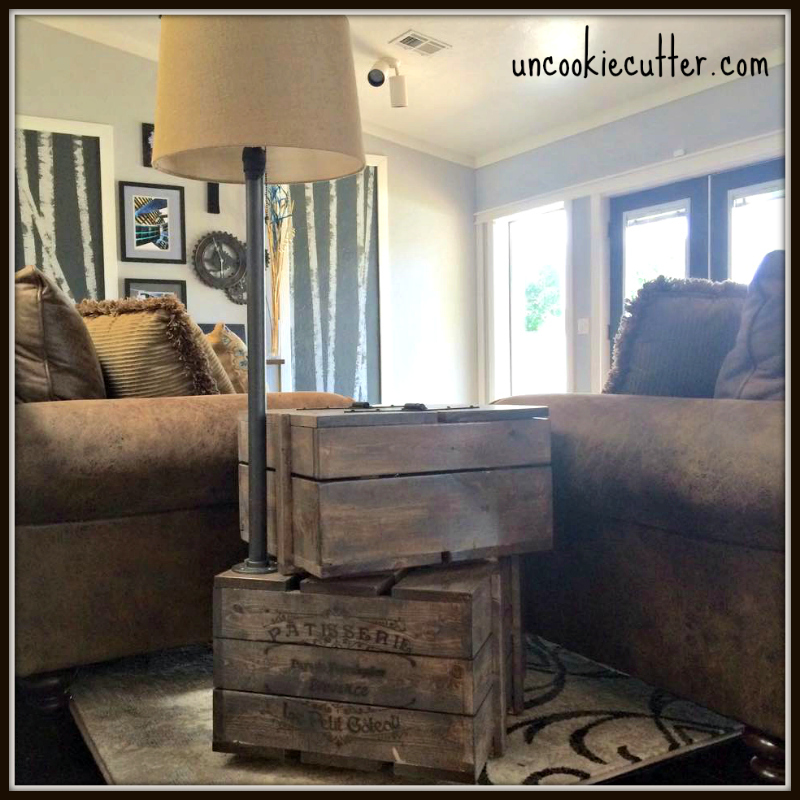 I love the both the hinged lid and the industrial style lamp. 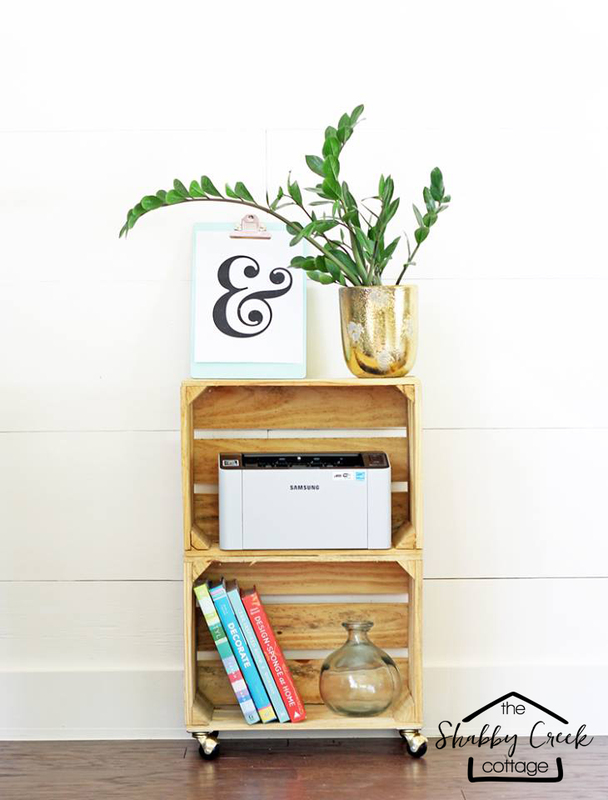 This crate shelf looks very cute. 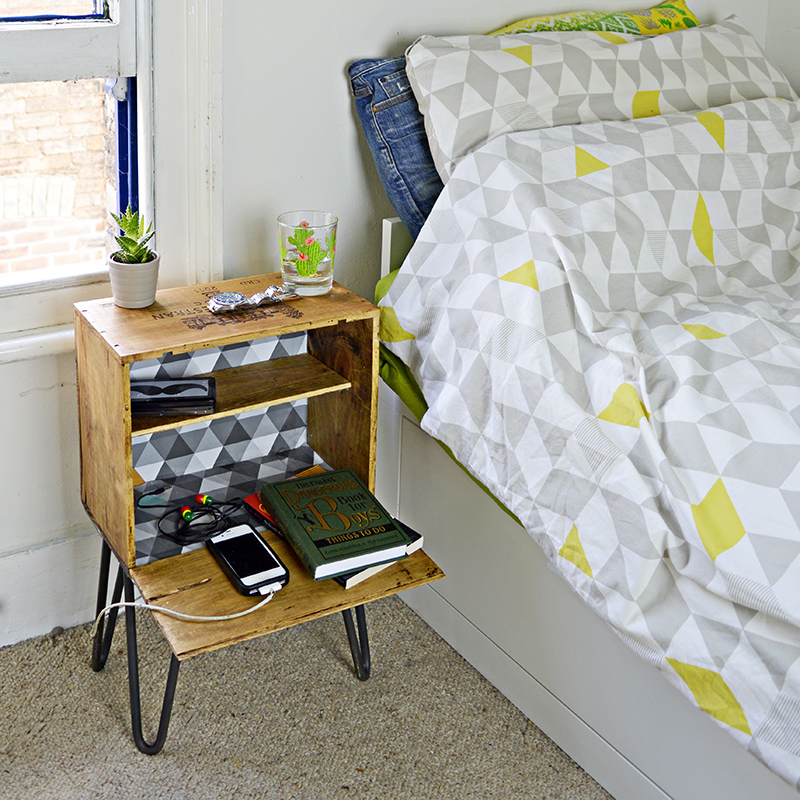 I think hairpin legs can make anything look great and that is certainly the case with this crate side table. This rolling cart from Gina, is so simple but yet so handy. 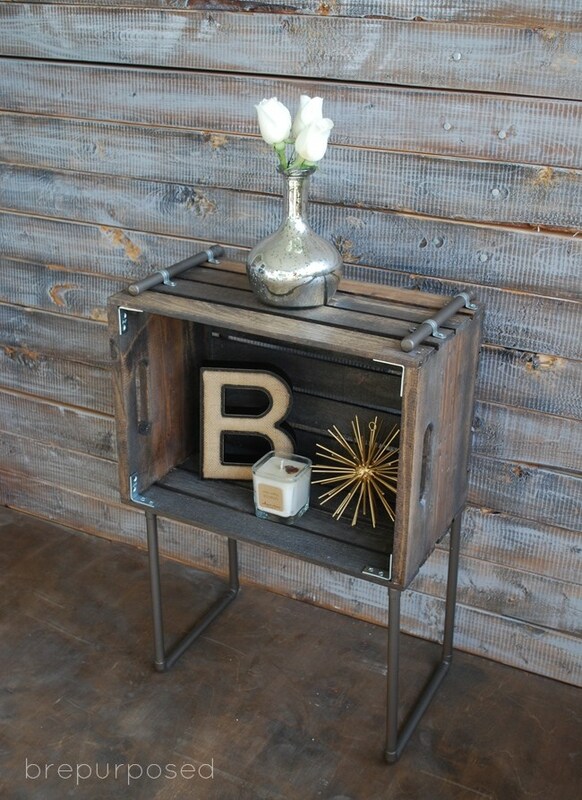 Medina is so clever with here rustic industrial DIY’s. I really like this one and think it will look great in my kitchen. The random numbers on the front of these crate lockers are fun. 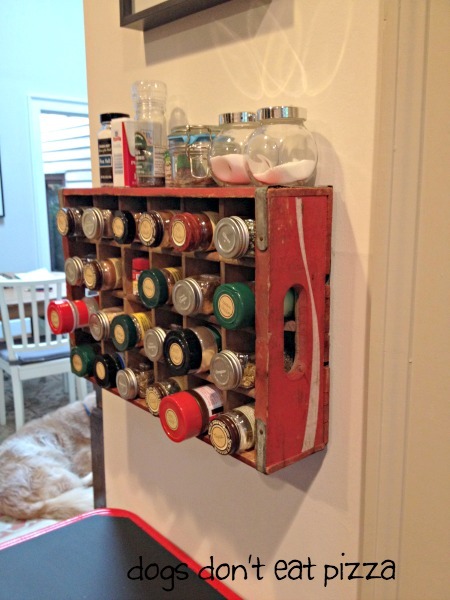 Now this coke crate spice rack would look good in my kitchen. This could be used for a cat or a dog. You can simply personalise it by writting your pets name on the front with a Sharpie. 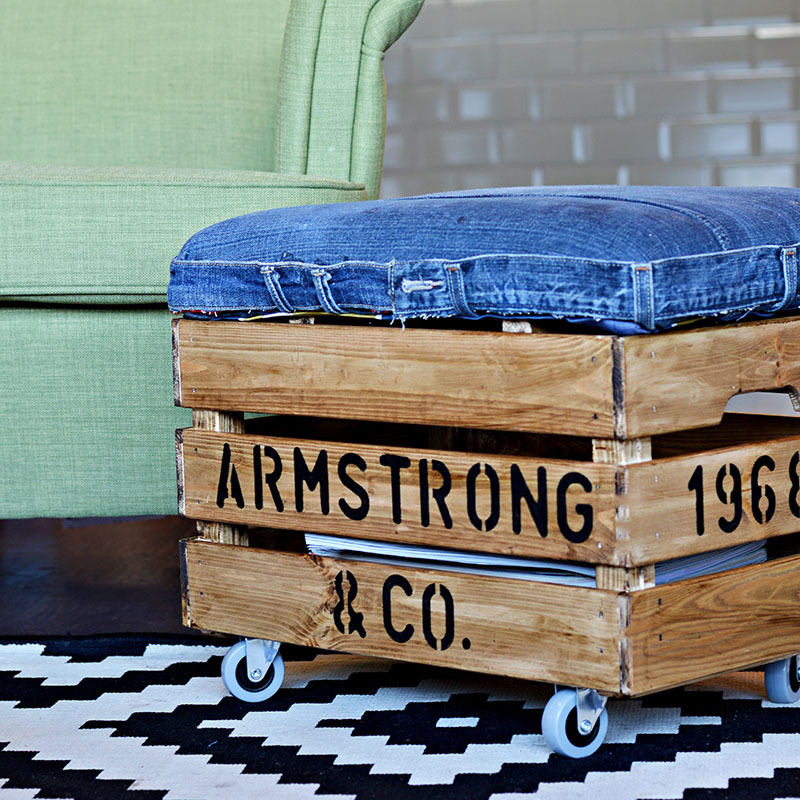 I love the combination of mid century modern legs and an old wooden crate. 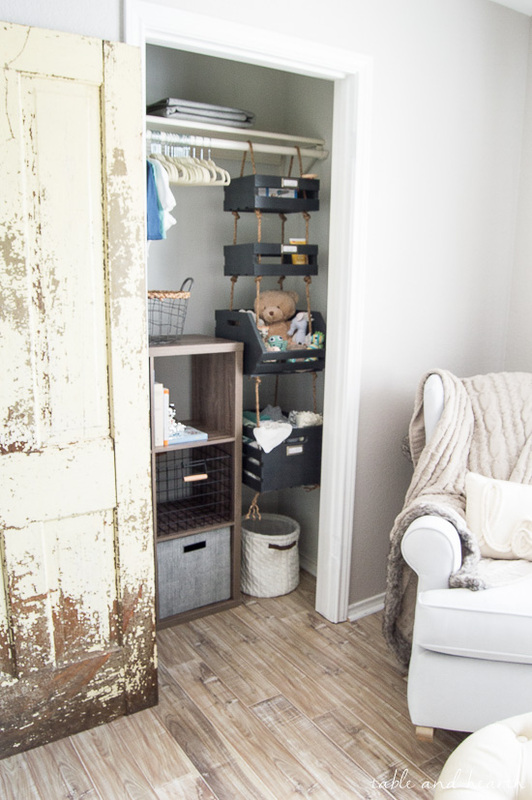 What a fabulous idea if you have the space! This could be handy especially with more than one, stacked ontop of one another. 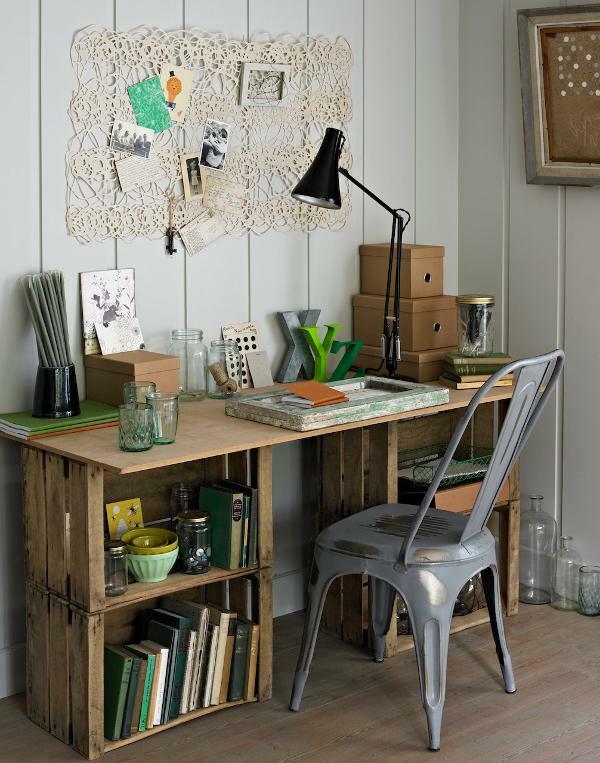 It is so simple to make a desk with built in storage with a few old wooden crates. The added pipes to this crate table give it a real industrial feel. 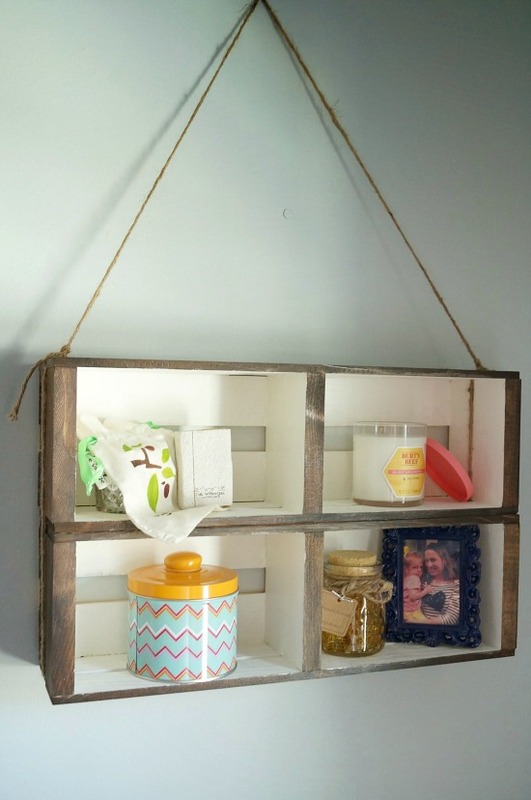 There is one of these in my local cafe and it looks great as well as being handy for storage. 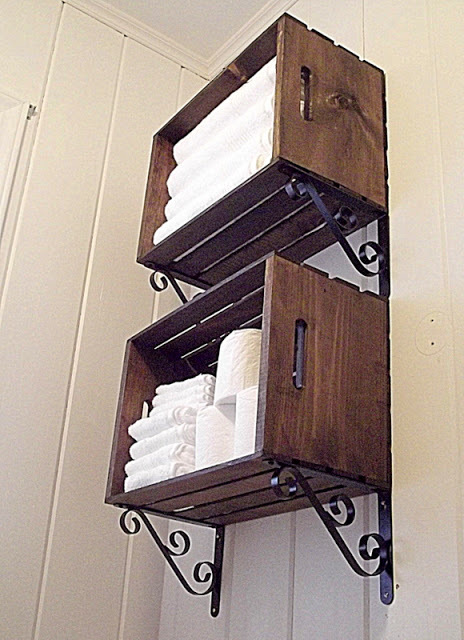 Just add some stylish shelf brackets to old wooden crates for extra towel storage in the bathroom. So many great ideas. I love how they go from really simple to quite complex. Something for everyone! Thank you, I think the lights are fun. So many great ideas! I love how creative these are. Thanks for sharing at our link party! Great round up Claire! Thanks for sharing at Vintage Charm! 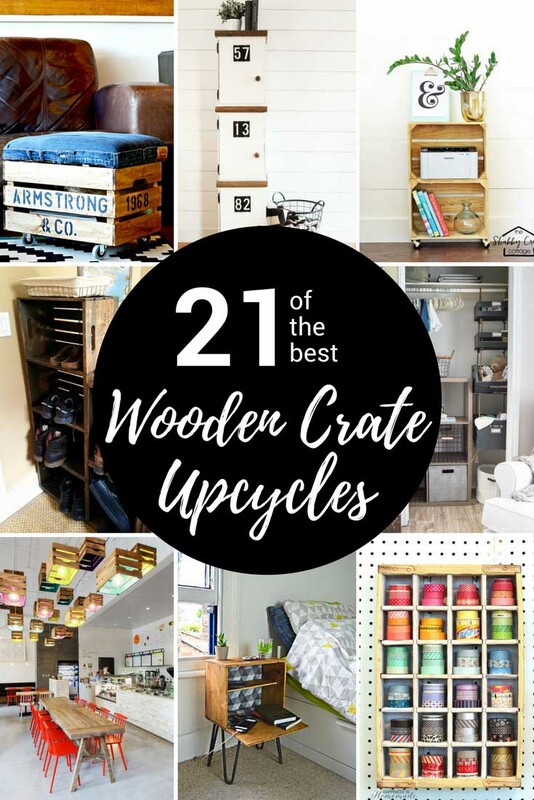 These are some great ideas! I pinned it so I can try a few! Thank you, they have given me some ideas too, I like the desk. Thank you! I love your collection of old boxes they look great on your wall.